The Green Party’s candidate for London mayor has said City Airport should be shut down. 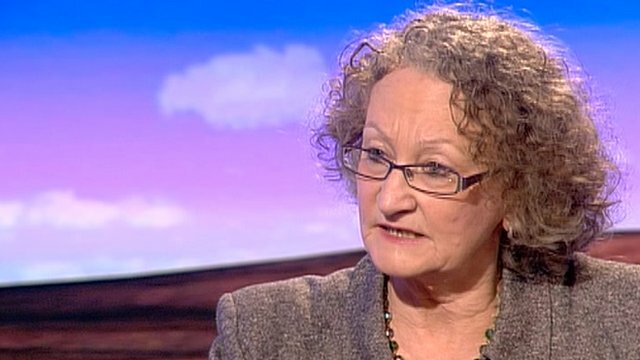 Speaking to the BBC’s Daily Politics, Jenny Jones said the airport should be closed and replaced with “something useful” such as housing or allotments. Britain should follow Europe by “expanding” rail travel, not aviation: “We should start to understand that short haul flights have got to be overtaken by rail travel… We are very greedy and we take up more than our fair share of the earth’s resources. We have to learn to adapt and survive.” A spokesman for London City Airport said it “directly contributes over £0.5bn a year to the UK economy” (evidence for that??) and connects London with 30 destinations in the UK, Europe and America. The other candidates have not mentioned London City Airport. The Green Party’s candidate for London mayor has said City Airport – one of the capital’s main aviation hubs – should be shut down. Speaking to the BBC’s Daily Politics, Jenny Jones said the airport should be closed and replaced with “something useful” such as housing or allotments. Ms Jones also said she would raise the central London congestion charge to £40 a day for “gas guzzlers”. The Greens could “work with” Ken Livingstone if he wins, she said. A spokesman for London City Airport said the hub “directly contributes over £0.5bn a year to the UK economy.” [The only evidence for this figure is a report by York Aviation in Feb 2011 at http://www.londoncityairport.com/content/pdf/Corporate_Information_Integral_to_Growth.pdf which makes a lot of unsubstantiated claims, and leaves out the money taken out of the UK from flights, while it makes a lot of the money from the inbound visits. Very partial. See below ]. The airport, in the Docklands area, connects London with 30 destinations in the UK, Europe and America. She said the party’s policy to insulate a million homes over four years would cut fuel bills, reduce carbon emissions and minimise the need for energy companies to build new infrastructure. “You can have a win, win, win situation on the environment and the economy,” she said. Ms Jones, who has been a Green member of the London Assembly member since it was created 12 years ago, served as deputy to the Labour mayor from 2003-2004. There are six other candidates competing to be mayor of London on 3 May. Boris yesterday said that reviving the plan “would be an environmental disaster”. He said: “It would mean a huge increase in plans over London, and intolerable traffic and fumes in the west of the city – and it will not be built as long as I am Mayor of London. That is why the Government is right to look at all new solutions for extra aviation capacity except the third runway at Heathrow.” The Department for Transport said last week opposition to a third runway at Heathrow is a “Coalition policy” that will not change. Ken LIvingstone also opposes a 3rd runway at Heathrow, arguing short-haul capacity should instead be switched from Heathrow to Gatwick and Stansted to open up more long-haul slots to emerging markets including India and China. “Heathrow, along with the thousands of people who work there, does a magnificent job in very constrained circumstances. It directly employs 76,000 people at the airport and supports another 180,000 jobs and I will do all I can to safeguard those jobs and the prosperity that comes with them”. Ken Livingstone, the Labour candidate for the mayoralty, opposes a third runway at Heathrow, arguing short-haul capacity should instead be switched from Heathrow to Gatwick and Stansted to open up more long-haul slots to emerging markets including India and China. Siobhan Benita is the only mayoral candidate to be pressing for a 3rd Heathrow runway. She says “We will scrap the £60bn Boris Island vanity project and instead support the expansion of Heathrow airport, while maintaining strict limits on sound and emissions” and “I absolutely understand that people are worried about noise levels and I would call on the aviation industry to produce a 10-year roadmap for aircraft noise reduction. With quieter and cleaner aircraft becoming more commonplace, the industry can do much more to reduce noise and emission levels in the coming years” Michael Portillo gives her his backing. He thinks a third runway for Heathrow airport is fundamentally important for the capital and “I can’t understand any candidate presenting himself or herself without making such a commitment”. 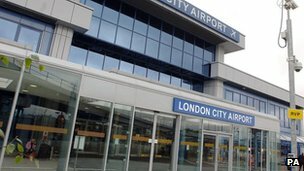 • £197million spent by business tourists coming via London City Airport. • £115million spent by leisure tourists coming via London City Airport. by using London City Airport. • £21million in Air Passenger Duty to the Exchequer. also support over 2,700 jobs both on and off site. As the Scoping Document states, “The air transport … sector in 2009 directly generated around £9 billion of economic output.” [i] Basic economics teaches us that the benefit provided by an industry is normally equal to the amount of money people spend on its products. So £9 billion is probably a good starting point for measuring the economic benefit of aviation to the UK. The figure of £9 billion is derived from the Office of National Statistics Annual Business Survey for 2009. It refers to gross value added (GVA) at basic prices, that is before taxation. GVA is the difference between the value of goods and services produced (output) and the cost of raw materials and other inputs which are used up in production. This is calculated gross of any deductions for depreciation or consumption of fixed capital. Posted: Friday, April 20th, 2012. Filed in News about Airports, Recent News.